The overall quality of any project depends on the ability of the structural engineer to balance the characteristics of the various building materials with the individual structure's geometry to ensure that they capture the architects' vision while protecting the lives of the inhabitants. The BCA structural engineering team conducts ongoing research in pursuit of the most effective and efficient means of design. We approach each project as a team and are able to find solutions to unique design impediments that compliment the design. Our creative solutions and our research applied with our experience and thorough analysis of structures, allows our engineers to expedite design calculations and drawings through public agencies. 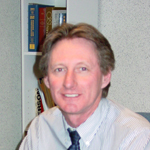 As President of BCA Structural Engineering, Geoff is a versatile structural engineer of all building materials. He has extensive experience in educational, commercial and residential building design as well as in the design of seismic bracing systems for industrial facilities. His astuteness and thorough analysis of building structures allows him to expedite design calculations and drawings through Building Departments and various other government agencies. In addition, Geoff possesses a comprehensive knowledge of the latest structural advances involving design and agency testing, allowing him to effectively support creative structural solutions on all projects that he is involved with. 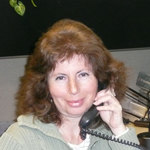 Raisa joined the firm in 2003 and has worked on custom residences as well as residential additions and remodels. Her knowledge and expertise in residential design allows her to provide well designed and economical solutions to complex engineering projects. 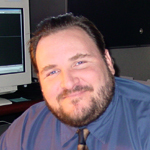 With his expertise in advanced computer applications, William provides comprehensive AutoCAD drafting services to assure that well coordinated, builder-friendly drawings are provided for each of our projects. Using leading engineering software, he produces drawings from concept sketches, codes and specifications as per industry standards and is involved from inception through construction of each project to ensure the accuracy and decipherability of the drawings. 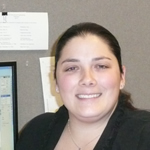 Erynn joined BCA in 2008 after graduating from Arizona State University in Civil Engineering. She brings a fresh perspective and an updated knowledge of Structural Engineering design to the firm. Erynn has a strong knowledge of residential design and construction.